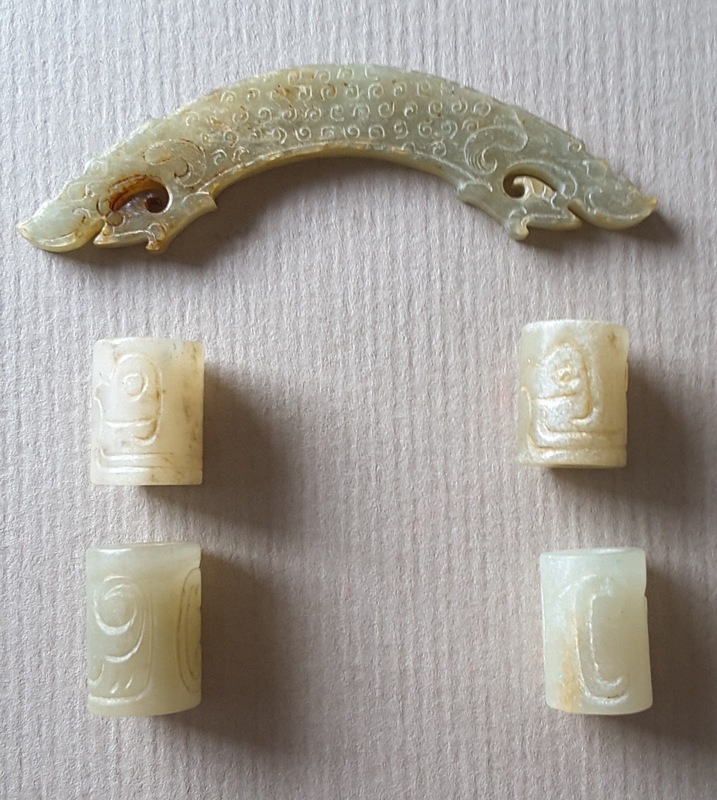 This set of jade ornaments comprise a lovely arc shaped jade plaque or huang, purportedly from the Han dynasty (206 BC-24AD) and four cylindrical beads of unknown vintage. The top ornament is a an arc shaped plaque or huang with dragon heads on both ends while the body is decorated with low relief grain design on one side. 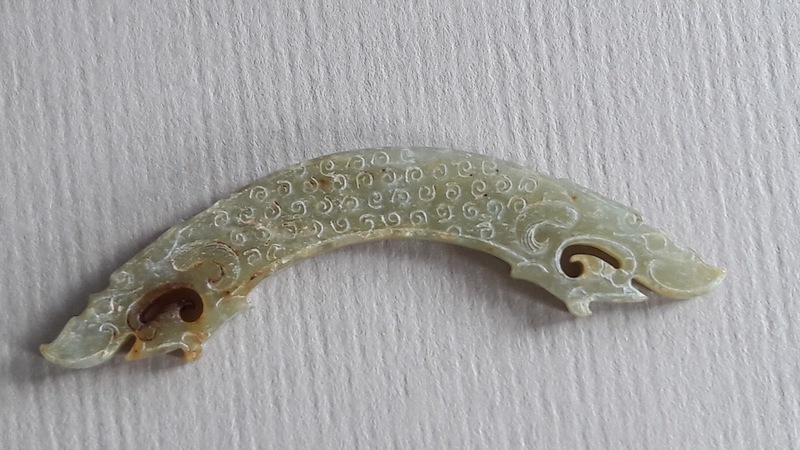 Measuring 8cm x 1cm this ornament is often seen in the Han dynasty (206BC-24 AD) as well as earlier dynasties and cultures. ..... and an upturned tail at the other..
﻿The design wraps round the cylindrical bead and can best be seen when impressed against a plasticine mould somewhat like a seal. 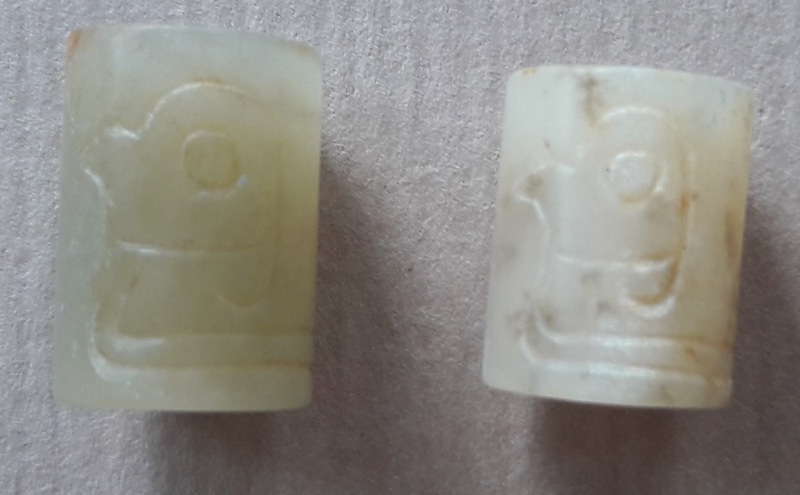 The image that appears on the mould looks like a bird floating on water the head at one end and an upturned tail at the other. Or is it a boat ? 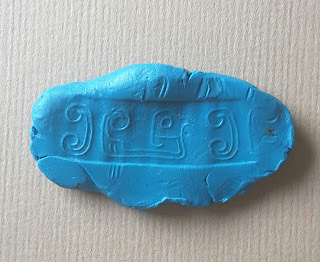 It could also be some archaic language. 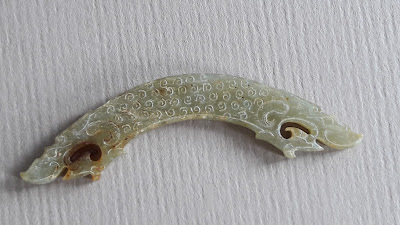 This bird like or boat like image is bordered by two cloud scrolls often seen in the Zhou-Han periods. 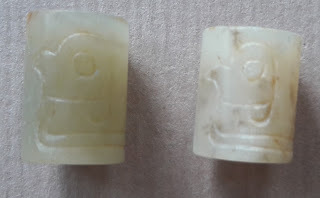 The beads measure approximately 2cm x 1.3cm. 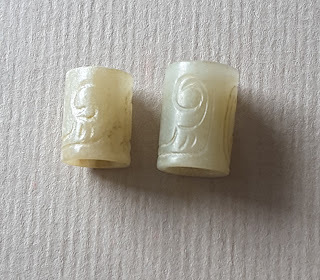 I have not come across this design on jade beads before and am still trying to figure out which era it belongs. 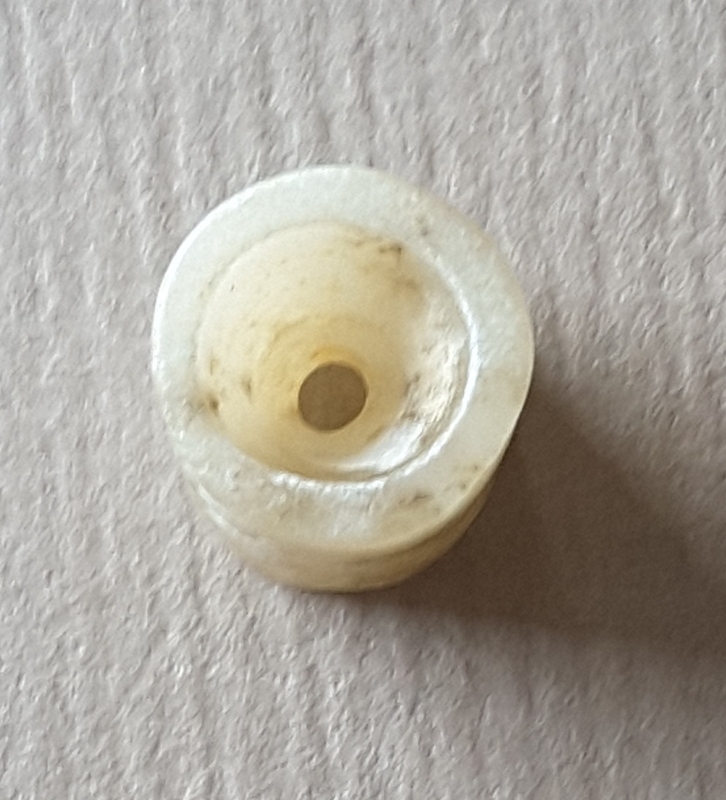 Wish someone could enlighten me!